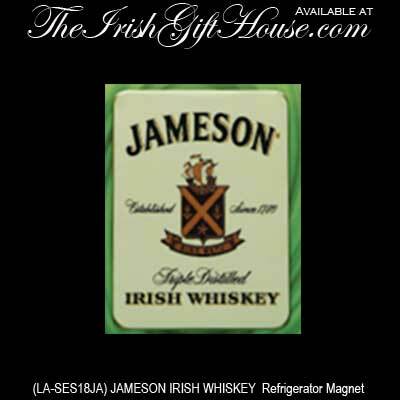 This colorful fridge magnet features the Jameson branding. This Irish fridge magnet features the Jameson Whiskey motto Sine Metu. Sine Metu is Latin for without fear. The full color Jameson refrigerator magnet measures 2 1/4" wide x 3" tall and is gift packaged. This Irish fridge magnet from The Irish Gift House features Jameson, tripled distilled Irish whiskey and it is made in Ireland by Liffey Artefacts.